We are SFHouseMusic, a collection of San Francisco House Music DJs, Events and Venues that are current and influential. We are represented by one uniting idea: SF sound. San Francisco House Music is pleased to present you with the best of undeground house music events in SF. We provide you with the list of best underground house music events, night clubs, dance clubs, private clubs, business listings and record labels. Our site is updated daily. For free guest list, VIP invitations, tickets and details about particular house music event, send us an email at info@sfhousemusic.com. 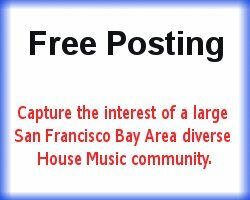 We offer comprehensive listings of all business pertaining to house music in San Francisco. 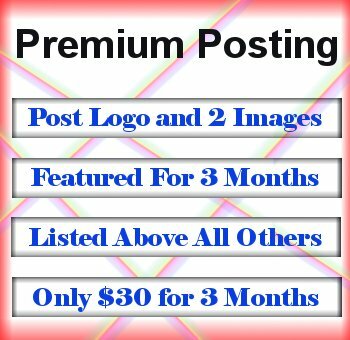 Help keep it updated by posting you business if it is not listed or by enhancing your listing for increased visibility. Your Best Resource for SF House Music, DJs, VIP and Underground Events in San Francisco!